London (ANTARA News) - The song Edelweiss and Waltzing Matilda with Angklung music instrument played diiringin students who are members of Indonesian Society fascinating look in the International Cultural Evening, Sheffield, England. International Cultural Evening as part of the annual World Week at the University of Sheffield is anjang international student art show at the University of Sheffield, as Chairman of the Indonesian Society (Indosoc) Sheffield Monica Lestari Paramita to Between London, on Tuesday. Art performances showcase the majority of international students attending the University of Sheffield and Sheffield Hallam University is successfully conjured the audience and the judges. Members of Indonesian Society (Indosoc) Sheffield who chaired Monica Lestari Paramita with 17 members of the Indonesian art form of performances featuring traditional instruments of West Java, Angklung and fashion show from within Indonesia. 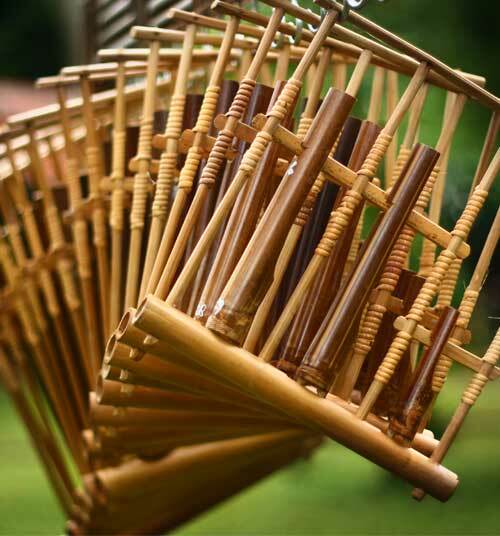 The event which lasted for four hours was opened with the strains of a dazzling angklung with overwhelming response from the audience and also the committee. 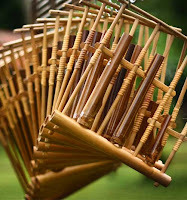 Dita Sardjono, leading Angklung performances, managed to pack the strains of music tones from bamboo into beautiful song Edelweiss notation and Waltzing Matilda. Secretary-General Indosoc Sheffield, Therene Roteno, said all students of Master's and PhD students and families trying to come up with compactness that makes stronger family relationships. Three female students at the University of Sheffield, Sylvania Nyssa Hasan, Therene Roteno, and Shelly Greta Manurung visitors with a fascinating look graceful step and kebaya modern and traditional clothing of Central Java which they apply. They recognize is proud to introduce the typical Indonesian fashion. "Many other participants flattering fashion show clothing worn, and some even shocked when they find out there are still many other Indonesian special clothing with its uniqueness." Education Attache Embassy in London, Tubagus Ahmad Fauzi Soelaiman, feel proud of the members shows that citizens Indosoc albeit small, but able to show the art culture of Indonesia. Unfortunately, the small number of Indonesian students at Sheffield University, is not possible to compete with the set of student participants from other countries, such as from China, Malaysia and Singapore, Sri Lanka, Pakistan, India, Romania, Kazakhstan, and the Mediterranean.